We have been to Nymphenburg Palace three times and it never gets old.To me, the site of Nymphenburg Palace rings a resounding bell in my head that I am back in Munich. It gives me that homely feeling, the feeling of familiarity that we all crave at times when travelling. Bec and I flew into Munich, Germany in 2003 for the first time. We were met at the airport by a friend and he drove us straight to Nymphenburg Palace. He lived in Munich and is proud of this amazing Palace. We had ice cream sitting on the canal that runs up to Schloss Nymphenburg. This amazing ice cream came from a little gelato shop around the corner, a real local gem. We had never seen spaghetti ice cream before, it was a first. Family Travel Tip: Bring some bread with you and you will be able to feed the ducks and swans. Construction started on Nymphenburg Palace in 1664 and by 1679, the original Palace was completed. 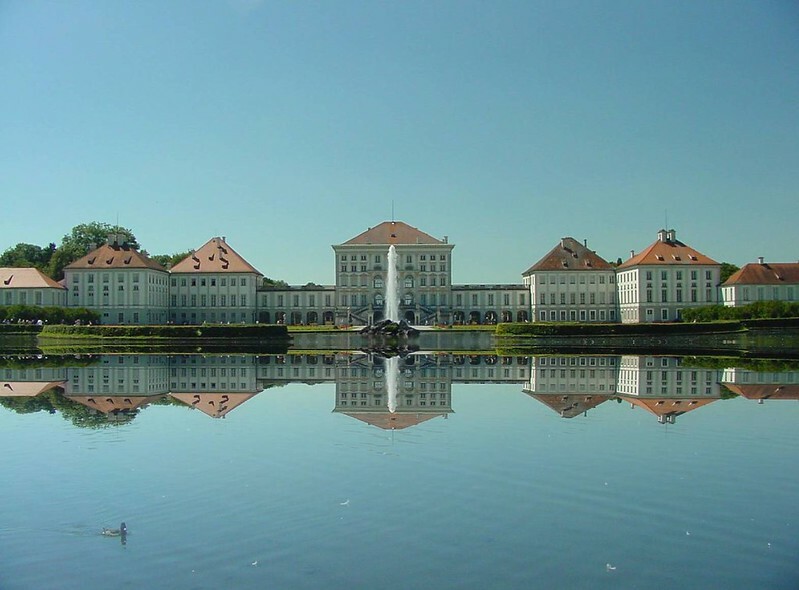 In 1715 further construction and design of the Palace was started once again and continued on and off for most of the 17th century under different Bavarian Royal families. The gardens that surround Nymphenburg Palace are 490 acres in size. I must say I have never really explored the gardens in length as they cover such a large area but I imagine they would be fantastic on a beautiful sunny Munich day. We have toured the Nymphenburg Palace three times in our travels, once in 2003 again in 2013 and 2016. On both of these trips, we toured inside the Palace. The first was just myself and Bec and the second was with the girls. It was amazing. The tiny things that you can notice when you are with children. The minute details that they will pick up on are amazing and it was really an eye-opener for us with the things they would notice especially in the paintings. The areas available to tour inside the Palace are not large and may only take 30 minutes or so but that is up to you and what you can take from the beautifully decorated rooms. You can hire an audio guide for the tour that will fill you on the history of the Palace as you make your way from one room to another. The Palace is decorated elaborately as one would expect. The rooms are painted with beautiful paintings that decorate the whole room, walls and floors. It is like stepping inside the Louvre in Paris or the National Gallery in Melbourne. Instead of the art being inside frames it’s the whole rooms are the art. The Marstallmuseum Museum in the old stables section of the Nymphenburg Palace opened in 1941. This Museum has a collection of carriages and sleighs from the 18th and 19th centuries. It is one of the most important collections of its kind in Europe. We viewed this section in 2003. From memory, the royal carriages are grand and pieces of art in their own right. One of the main features was also the hardness of the two Munich Coronation coaches of 1813 and 1818. Since 1994, the state carriages and gala harnesses belonging to King Ludwig II have been on permanent display. Portraits of the King’s riding horses are among the permanent exhibits of the Marstallmuseum. The girls on the bridge over the canal. Schloss Nymphenburg in the background. If you are in Munich it is a must-see for us. Even viewing the Nymphenburg Palace from the outside is special. It is also a cheap destination that could cost you nothing more than the tram fare to get out here if wandering around the magnificent rooms is not for you. You could view the outside of the Palace and the gardens for no cost and you could spend hours walking around the carefully manicured gardens. The gift shop is open so you can grab yourself a souvenir. I bought Willow a comic book based on the life of King Ludwig II. Out the front of the Palace is a lake that has white swans (the symbol of King Ludwig II) you can take some bread along and let the kids (or yourself) feed them. Be cautious though as they can get pretty friendly these swans and they are not afraid to let you know when they are ready for another piece of bread! The white swan chased me much to the amusement of my wife and kids. As a father, it is rewarding to be able to entertain my kids with my own misfortune. This bloody swan would not give up, it just kept coming at me. There is also a large grass area where you can sit and have a rest or some food. Hofbrau beer is the royal beer of Bavaria so it would only be right to have a Hofbrau beer at a Royal Residence. The number 17 tram services Nymphenburg Palace. It runs through Karl Platz in the city centre making access to the Palace very easy for all. Nymphenburg Palace is one of many amazing Royal castles in Bavaria. Visiting the other castles makes a great Royal day trip from Munich. If you find our article helpful why not buy an app version for your phone you can take with you travelling. Check out the app here! 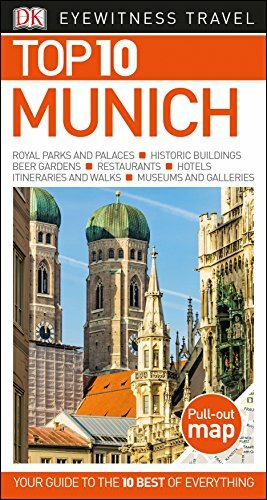 We love Munich so here are two more posts from us here at Wyld Family Travel on our favourite city for you to get some ideas on what you should do when you visit. How does the spaghetti ice-cream work? I’ve never seen that before! Coming from the US I always find the grand palaces of Europe so impressive. Munich is definitely someplace I want to visit and a stop at Nyphenurg Palace is definitely in order. I didnt know there was a Nymphenburg Palace in Munich, next time I am visiting Munich , I;ll be sure to visit, pictures look amazing! Sounds like a fascinating place. I was in Munich in the winter of 2010 though I don’t recall having visited. I think I put more priority on day trips because I remember we did go to Neuschwanstein, though can’t remember anything about Nymphenburg Palace. Perfect excuse for a return trip right! What a pretty palace! I’ve only been to Munich in the winter and we did a day trip to Neuschwantstein. In the snow it was like a fairytale castle. 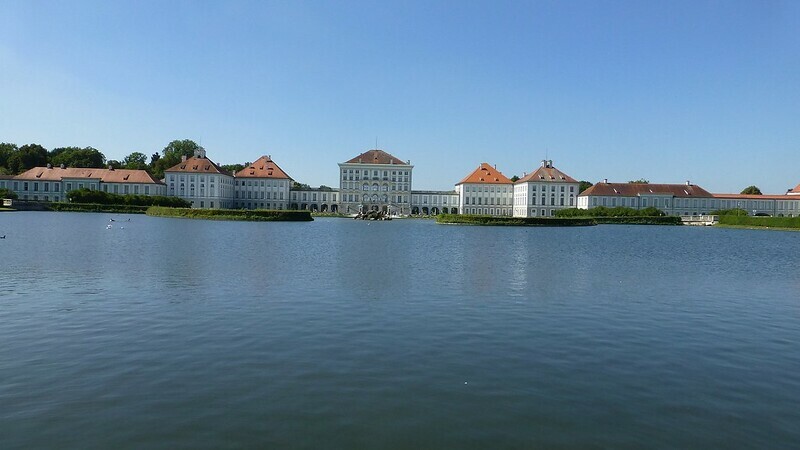 Nymphenburg looks completely different – and I’d definitely be up for that spaghetti ice cream! This looks lovely! What really stands our to me is how peaceful it looks, free of throngs of tourists! I always appreciate how European locations such as this are affordable, and parts even free!? Unheard of in so many places. Adding this palace to my list! Thats an awesome castle! Im sure its even better in person. Wow,that looks like an incredible place Mark! No wonder you want to keep going back. It’s hard to believe that the first part was done in only 15 years!